Burleson appears to be wearing some of Bill Bowerman's early experimental shoes. A few weeks ago I was looking through the online archives of the U of Oregon's Knight library archives for old track and field footage. One of their uploaded to Youtube clips was of Oregon's early sub 4 minute milers including Jim Grelle, Jim Bailey, Dyrol Burleson, Wade Bell, Keith Foreman, Arnie Kvalheim and others. Brief clips of each of those men running is found on that particular piece. 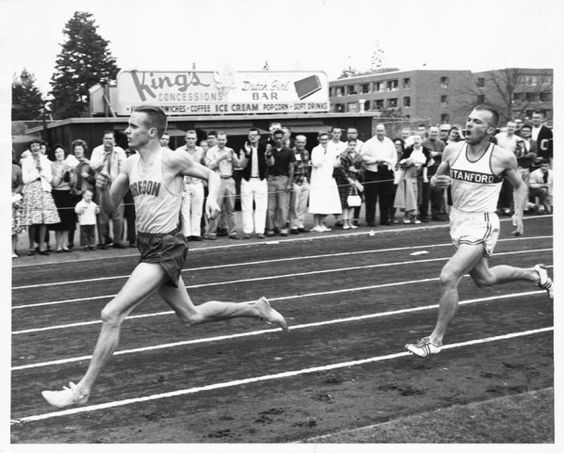 In it I was intrigued to find Burleson running the first sub 4 minute mile at Hayward Field. 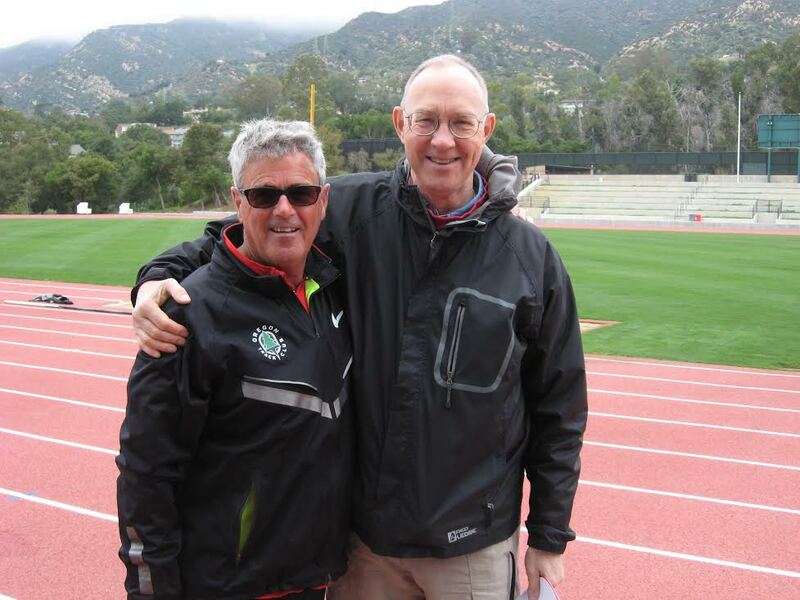 I had also known a bit about this race, because the man who did all the work to get Burleson to the line under four minutes is one of our regular readers, Ernie Cunliffe, who ran for Stanford and represented the US in the 800 meters at Rome in 1960. I had known Ernie's sister in Ohio for many years before knowing she was related to Ernie. When that connection finally came up, I was astounded that I was talking to someone whose brother was a boyhood idol of mine when I was in high school. Ernie and I met a few years later on a visit Ernie made to Ohio, and we talked for a long time about track and field. He remembered every split of every race he ran. And he could fill in details of meets and happenings from that era that few ever knew about. This was before Once Upon a Time in the Vest was even a dream, but it may well have been a seed that was planted in my brain. Ernie has mentioned that Oregon race several times, because it was his best mile (4:00.4), and on today's synthetic tracks no one can dispute that his time would have been under 4:00. 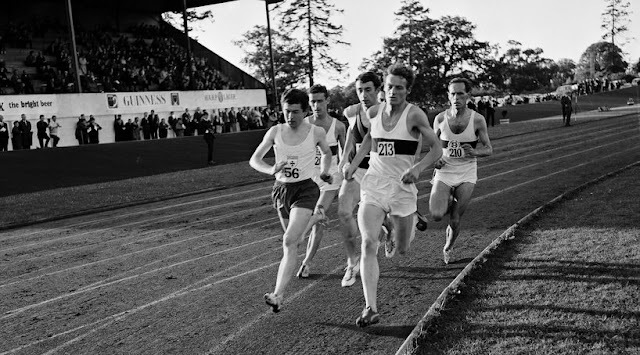 The original clip of the group of Oregon runners was black and white and showed only the backstretch of lap one and the last 50 yards of the race. I wrote to the library last week asking them if there might be more of the race in their archives. Elizabeth Peterson was assigned the task to dig it out and she graciously did so and uploaded the film onto Youtube and granted us permission to use it on our blog. The upside is the film is now available in color. The downside is that we don't see more of the race. However there is a bit of footage of Burleson and Ernie after the race. Ernie looks extremely disappointed, I'm sure because, one, he was passed at the end , but also that he was so close to breaking 4 minutes. The film is almost five minutes long. It shows how the old dual meets looked. There were often 'walk ons' competing. The pole vault on metal poles is looking about 12 or 13 feet by some of the vaulters. There's a low hurdles race. Note there are no throwing cages and officals, spectators, and contestants are standing dangerously close to the discus throwers. Ms. Peterson also attached a clipping from the Eugene Register Guard describing the race, and in the story, Burleson was very gracious toward Ernie for carrying the pace in that race. This is the link to that story. Classic Mile by Bob Mullin If you are clever, you will be able to scroll that front page over to page 7 and get a full run down of the race and the meet which was won by Oregon 87-44. Both Burleson and Cunliffe were scheduled to run again in the 880, which was a post race concern to both of them, especially after both had run two of the fastest miles in US history. That was dual meet strategy in those days. Fortunately both were relieved of that necessity by Bowerman and Jordan. However Ernie ran a leg in the mile relay. You can see his exchange on the film clip. Their splits in the mile were 62, 60, 59, and Burleson 57.6, Cunliffe 59.4 on the last lap. Third place was Oregon's Norm Lloyd in 4:28. The box score of all events is also there and a lot more pictures of Burleson and Cunliffe. Also note that three other track meets are reported in the paper. This was not uncommon in the 1960s. Knight Library track archives link This link will get you into the ballpark on track archives at the library. You won't find everything you want here, but there is still a nice selection of film from the 60s and 70s and 80s of some of the big meets that have been held at Hayward Field. I love this story, ....because , like you, George, I got to know Ernie Cunlife on a trip too. Yours in Ohio and mine in New Zealand, where we roomed together throughout our 2 1/2 week tour. 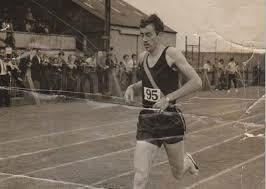 was probably in the Wanganui world record mile which he and Bruce Tulloch helped set up for Peter. Mine was a 1:48.5 at Hamilton, in coming second to Snell to his 1:47.6, or so. the former, NZ record holder, Gary Philpott and Jim Dupree. in a time of 1:49.2. NZ consisted of 24 x 220 in the snow behind Withrow Court where I beat down a path to run the intervals in. If it hadn't been for Once upon a Time in the vest., I might not have met up with Ernie again. Good articles from the Eugene Register. When IU went there for a dual meet in 1979, there were also about 5,500 in the stands, all very knowledgeable T&F people. It was a great meet going down to the mile relay which Oregon won by a few steps. At that time they also had articles about the meet in advance and also after the meet which was really nice. Those other 1960 articles were very good and helpful. What a big sports section! This was in 1960 and I noticed the Pirates beat the Braves, beginning their drive toward the Bill Mazeroski World Series. The Reds were one year away, 1961 NL pennant. Thanks for the Oregon-Stanford link. Visited Oregon Knight Library during "08 Trials. Great archives. 14-6 pv was excellent with metal pole. Still running 220 low hurdles. 14.2 HH by Edstrom, Ore great mark, as well as 187' discus school record, and 221' jav. Register Guard had front page article on U. of Oregon fighting discrimination (racial and religious - how timely !). Of course noticed there were no black athletes competing. Tangentally, I attended Florida HS Track and Field Hall of Fame banquet in Daytona Beach Jan. 6 (Gainesville friend Rick Quintana was being recognized for his contributions- announcing, video making, list making, coaching, writing). Host of the weekend was Ron Coleman, U. of Florida track athlete, and first black scholarship athlete at the school and SEC. Bruce Kritzler Sea Island, GA? Ray Wyatt leading the pack at the Big 8 Indoor 195? Ray Wyatt passed away on October 16, 2016. 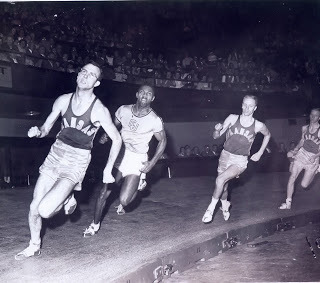 Ray was a stalwart (long sprints) on the U. of Kansas track team in the 1950s. He was teammate and friend of Wes Santee and spent a lot of time with Wes during Wes' final days. Ray also was a great friend of KU track alumni and hosted several gatherings of that illustrious group. His website can be seen at Ray Wyatt. This website has a lot of interesting things about Kansas track in the 50s and also some things about Ray's hobbies with big Corvettes and collecting relics at archeological sites in the Lawrence area. He contributed information about KU to this blog and also to Racing Past written by my friend John Cobley. John did a nice piece about Wes Santee with Ray's assistance. I only learned of Ray's passing when his emails failed to be delivered when we sent notices of new posts on Once Upon a Time in the Vest. Ray and I never talked directly except by email, but he was generous with his time and his answers about track at Lawrence. Ray Wyatt left us October 6, 2016. Born May 11, 1936 in Topeka, KS, to Ralph and Maryetta Wyatt, he distinguished himself by record-breaking high school track performances that led to scholarships at The University of Kansas. Upon graduation, he served in the Army and National Guard 1959-1969. He was known in Wichita for his influential management at Boeing, his love of speed and Corvettes, and long-lasting friendships. Memorial contributions in his honor are welcomed for the "Ralph E. and Ray C. Wyatt Fund For Athletics" at The University of Kansas, 1651 Naismith Drive, Lawrence, KS 66045, to provide student scholarships for participants in non-revenue producing sports. He was a proud Jayhawk. Frank Murphy the Villanova University 880 and miler of the 1960s passed away this week of Parkinson's disease at the age of 69. The two-time Olympian for Ireland (1968 and 1972) was on NCAA cross country winning teams in 1966, 67 and 68. In track, he was a member of 8 Penn Relays title teams and is in the Penn Relays Wall of Fame. 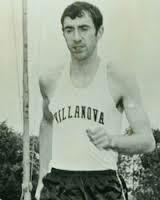 At NCAAs, he anchored Villanova to DMR titles in 1968 and 1969. Individually, he won the NCAA 880 indoor title in 1969 - the same year he won the IC4a 1k crown. Murphy also represented Ireland at the 1968 and 1972 Olympics and was a medalist at the European Championships. The second Murphy making news this week is Jim Murphy former US Air Force Academy great who was recently put into the USAFA Hall of Fame. Jim Murphy is a 1965 Academy graduate and was the school’s first NCAA champion, winning the 5,000-meter run at the 1964 NCAA Division I Outdoor Track and Field Championships. He also finished third in the 1964 NCAA cross country championships. 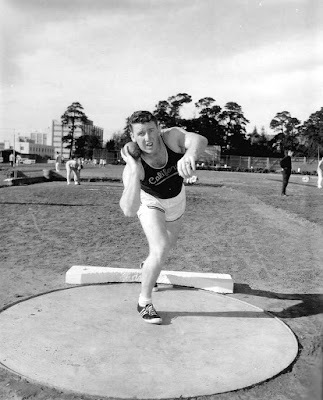 Murphy was the track and field and cross country program’s first All-American in each sport. He remains ranked among the program’s top-10 in the outdoor 5,000-meter run, ranking eighth with a 14:06.60. Murphy was named the USAFA Most Valuable Athlete in 1965 and was a recipient of an NCAA post-graduate scholarship. Of note: Murphy's 1964 NCAA title was shared with Bill Straub of Army. The two finished in a dead heat at Eugene. Film of that race as well as the whole meet is available at the U. of Oregon archives. Use this link to the 1964 NCAA meet. The 5000 meters race can be found at aprroximately 4:32 into the clip. 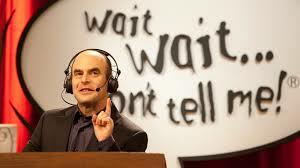 Host Peter Sagal on Wait, Wait....Don't Tell Me! This is an oral presentation by Peter Sagal of National Public Radio and the "Wait, Wait Don't Tell Me" series. If you click on the link above "Keep Going" you will be connected to a 15 minute monologue by Sagal recounting his running the Boston Marathon accompanying Will Greer, a blind runner. The story caught my son's ear and he suggested I look up this presentation. In the opening Sagal recounts that early in the New Year the family would sit around the table and recount the most important thing that happened to each member during the past year. When Sagal said his most important event was setting a PR on his marathon time, his wife responded, "What could possibly be important about that?" At that point Sagal surmised that his marriage was over, and it was. He continues in a very humorous and then poignant way to talk about his run at Boston with Greer and how the event was possibly a turning point in his life. I think even the most hardened curmugeon will be moved by the story. For the curious, Sagal's PR in the marathon is 3:09.25 set at the Philadelphia Marathon in 2011. 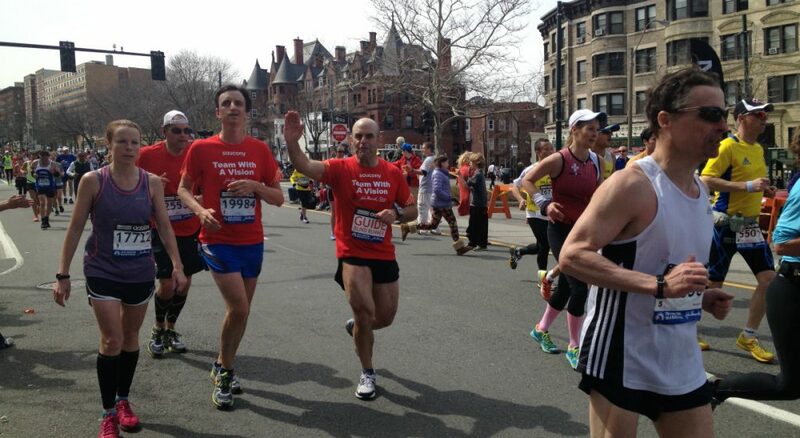 His Boston time in the picture was about 3:27. 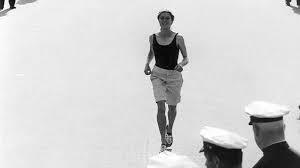 How Could a Thirteen Year Old Girl Set a World's Best in the Marathon in 1967? One of the youngest ever world running record holders, Maureen Wilton of Willowdale, Ontario was a 13 year old Canadian girl who put all of two weeks of rather questionable training into running her first marathon. She was not new to the sport of running but to long distance she was a neophyte. 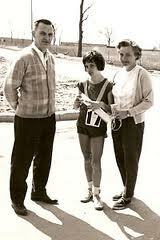 A member of the North York Track Club in 1967, she had been training since the age of nine. But nothing prior to her effort on May 6, 1967 gave much indication that a world's best time was about to be recorded. Women were still fighting for a place on the roads with men, and I'm not referring to being allowed to drive cars in Saudi Arabia, but to compete in races of the same distance that men ran every weekend. Today even with the majority of marathoners being women, the under 60 age crowd are probably not even aware that this was an issue fifty years ago. Now it's rare that we see a man on the cover of a running magazine. I won't go into that in this piece. Never the less women were not welcome on the roads in 1967. Less than a month earlier, Kathryn Switzer had been able against the will of the organizers to run in and complete the Boston Marathon. 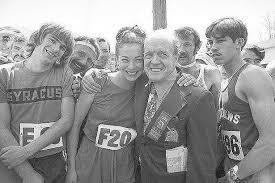 Jock Semple, race director and never one to mince words or actions, tried to 'man handle' Kathryn off the course, but in that famous photo, the men around her kept Jock at bay and Kathryn on course. Bobbi Gibb won that race at Boston in 3:27.17 as well as 1966 and 68, and Switzer was second in 4:20.02. Maureen's Wilton's story was brought to my attention last week at a running club workout when Jamie Kantor told me that there had been a story on the CBC that day about a young Canadian woman setting a world best for the marathon back in 1967. I was intrigued by the story, and couldn't think who that might have been. I thought Jamie might have been confusing Jaqueline Gareau who came along years later in 1979-80. So I looked up the CBC story when I got home. You can see it for yourself by clicking on "Maureen Wilton" at the bottom of this page. This is not the first time this story has been written, but for some reason it has filtered through the pages of various running magazines over the last twenty years, and its significance each time has been forgotten. A google search will bring out some of those other stories. What is truly unique is that two stories came out of this one event, because Maureen Wilton's coach was Sy Mah. Mah would run his first marathon that same day as Maureen and run 523 more marathons in his lifetime which in 1988 was a world record. I mentioned that Maureen's training was questionable. One story says Sy had Maureen running repeat 220s and 440s and some distance runs, in the two weeks prior to her attempt. 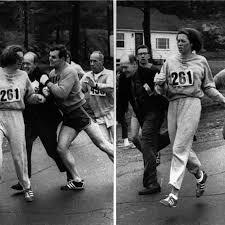 Sy only broached the subject of running the marathon to Maureen after she had done well in a 1.5 mile race. She had never heard of the marathon, didn't know how long it was, and had no idea of what it would be like to go that far. However she did have some serious talent at shorter distances, probably a near five minute mile capability, and a good sense of pace. She mentions in one interview that she could hit a 440 on demand at the pace her coach dictated. 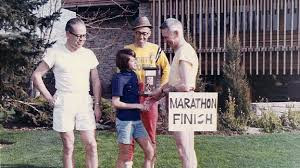 Mah had calculated that Maureen could break the record of 3:19.33 held by Millie Simpson of New Zealand set in Auklannd on July 21, 1964, by running a 7:30 per mile pace. But by the end of the run with a mile to go, Maureen's mother who was keeping track of her time felt that they had messed up the timing and that Maureen was behind the record pace. Mom informed Maureen, and she picked it up and ran a 6:00 last mile finishing in 3:15.23. Kathryn Switzer came up to the race 2 weeks after her Boston adventure, but was never in it against the Wilton. Not many people can pick up the pace like that at the end of their first marathon. The 4'10" 80 pounder had gone into the stratosphere of distance running and barely realized it. It is not noted in the stories, but I don't think Maureen ran another marathon. She dialed back and hit the cross country circuit and represented Canada on some national teams and was out of running at age 17. A few months after her marathon, the record was no longer hers as Anni Pede-Erdkamp of Germany cranked a 3:07.26. Pede-Erdkamp a twenty-seven year old set her record at Waldniel, Germany. There was some criticism of Maureen's parents at even letting their daughter run such a distance. The old prolapsed uterus argument was the main source of outcries, which have long since been proven not to be an issue. Even today a number of sanctioning bodies discourage long distance running by teens and certainly younger children. There are other concerns regarding growth plates being damaged on developing children's bones which are a legitimate concern. Maureen's daughter Carolyn became a runner and was good enough to get a scholarship to run at West Alabama University. That was an opportunity not available to Maureen when she was old enough to attend university. Amazingly Maureen had never told her daughter about her running career until Carolyn was well into her career. Maureen eventually earned her way through her studies into a career in the financial world, and now at 58 years has taken on a whole new career in dog training. Regarding Maureen's life after a world best, her family went to their lake cottage after the race and were surprised when they came home to see the overwhelmingly negative press coverage about her accomplishment. Even the track and field establishment was down on her achievement. Since then Maureen is yet to be considered for a Hall of Fame nomination anywhere in her native land. She has been soundly applauded at some recent events when Kathryn Switzer came to Canada and told the story to a packed audience at a pre-race event and then introduced Maureen who was sitting next to her totally unrecognized. Maureen Wilton , now Maureen Mancuso was finally acknowledged and given a heartfelt ovation from her fellow runners. Sy Mah would move on from Toronto to be an assistant professor of physical education at the University of Toledo. He was very instrumental in the running community in Northwest Ohio in the 1970s and 80s until his untimely death in 1988. 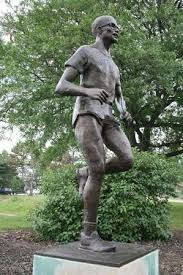 Today his statue stands in Olander Park where many road races took place in Toledo and the annual Glass City Marathon. His name is on the mugs given to all finishers. See the CBC story which put me on to this post. Don't remember Maureen, but sure knew Sy Mah well. 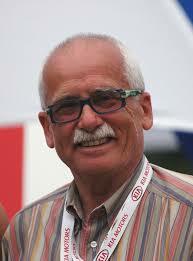 He moved to Toledo, and was main force behind Toledo RRC when I started racing weekly, in about 1970. Believe he was teaching at Toledo University, as I remember visiting him at his apartment on campus. Sy was definitely more interested in road racing and marathoning than track. Sy was locally famous for the number of marathons (524) he finished. I am of the strong opinion that male runners should not attempt marathoning until they are 18 years old. Perhaps even 21 Year old. Comments encouraged. Especially from our readers and contributors with coaching backgrounds. I share your concern about young kids running marathons. I looked up the current world best for 13 year old girls and it is now 2 hr. 44 min. Thirteen year old boys is 2hr. 43 minutes. Also of note is that the girls' record was set in 1987, the boys' record in 1977. This indicates that nobody is trying to beat the record and putting their kids' health at stake anymore. At least not on a grand scale. The records are listed down to 4 year olds. Remember in the late sixties early seventies there were groups of parents trying really hard to have their kids doing long distance stuff. Even Runners' World put out some pamphlet books on a group called PaMaKids who were promoting family togetherness through distance running. There are probably still a few parents promoting such activitiy. Fortunately they are few and far between. But child abuse is rampant in many forms in our country and throughout the world, certainly not just through sport. For 15 years I worked in the field of very serious child abuse, and if there was a common thread in those cases, most parents never felt that what they were doing to their children was out of the ordinary. It would probably be very hard to prosecute a parent for training a kid to run a marathon today, even knowing that the child's health and well being might be at risk. Look at how controversial the vaccination question is. That said I recently saw a film from India about a little boy training to run marathons. He had run 48 marathons by the age of 4 when the HBO film was made. He was clearly being exploited, because the coach of this slum kid was obviously doing a lot of self promotion and making money off the child. Someone murdered the coach. I hesitate to say 'fortunately murdered' but the thought did come to mind. See Marathon Boy trailer. Of interest, that child is no longer running marathons, and someone has looked out for him, and he is getting an education in a boarding school which would certainly have been out of his family's reach had he not had that notorious past. In other ways less flagrant but still exploitative we see in every grandstand and every performance hall children being driven by aggressive parents to the brink of exhaustion to excel in various activities. Psychological abuse is no less devastating than physical abuse. Any college coach today can tell you stories of exploitative parents they have had to deal with. This is not only sport but spelling bees, dance, piano, theater etc. The parent clearly driving the child to thrive where the parent has failed..or excelled. In some societies it is seen as the only way out of poverty such as baseball in the Caribbean and South American countries as well as soccer. In their own way the East Germans and Soviet Bloc promoted their societal beliefs in the 70s, and there are still vestiges of that past in Russia today. In Maureen Wilton's case, it was fortunate that her experience was a one and done. She was clearly a natural and her effort probably not much more than the equivalent of a long hike on a family outing. Still begging the question , when is it time to run a first marathon for a young person? So much indivduality in this query. If you're training for the mile and using a Lydiard system to train, you're going to run at least a 20 miler on occasion as part of the endurance building phase. Some kids mature physically much earlier than others. Some kids have tender joints and others don't. Really hard to put a specific age on the question. Some atheltes have very little natural talent and might see a marathon as simply a personal challenge to try to complete. It might not have any bearing on their future performances, yet for others at any age it could be a devastating event. Interesting debate. I know in late 90’s a high school coach in Salem ore took his boys distance runners to do the LA marathon. I heard through the track coaching grapevine that the marathon wiped out the boys track season. The parents were upset and the coach was relieved of his coaching duties. I agree with you and John. I took up distance running in grad school at the age of 24 and did not run a marathon until 28. I don't think kids want to run a marathon, and it is usually the parents, who are pushing them. If the kid really likes running, I think the parent should curb his/her exuberance and limit his running to maybe 20 miles per week and certainly not a marathon. It seems as if some of the best runners come out of age group swimmers or soccer players. I remember growing up with no parent involvement in my athletic endeavors, mainly baseball and basketball and only on a club basis. I still think this is a good model. Of course, the kids are better at everything sport today, but I thoroughly enjoyed my athletic upbringing and later morphing into a distance runner (still not very good compared to college trained runners). I further comment to you as I read the comments and was a bit put off that all of this was thrown on the parents!! If ONLY I had listened to my father who really pushed me to try other sports and be involved in other sports. Instead I insisted on running and racewalking only. I remember we were encouraged not to go ice skating in case we injured ourselves. I don't know if it was a direct - you can't go ice skating - or encouraged and then of course...anything my coach said was golden and anything my father said wasn't because what did he know about the sport? Perhaps if I did try my hand at other sports I would have disciplined my body muscles to be a better runner or race walker and especially, have enjoyed the sport and not have the pressure of getting University scholarships looming over my head. If my father had forced me not to run XC or T&F and eventually even indoor T&F I probably would have resented him. God Bless that man. He couldn't win. I agree with what was said above. Sometimes the peak for an athlete comes early. Sometimes it comes late. Sometimes it never comes. They should focus on the reward of self discipline and hard work than the records. I was most proud of my PR's than winning first place. I remember the last USATF Jr Nationals I won. My time was the slowest I ever walked in competition and yet I still won. It felt so hollow. Winning and records isn't everything. It was the perfect storm: supremely talented athlete meets ultra-experienced coach. Once their work together began to bear fruit, the multi-events would never be the same. Ashton Eaton was the athlete, just beginning his third season at the University of Oregon in the fall of 2009. Harry Marra had just been hired by then-head coach Vin Lananna to work specifically in developing the obvious talents of emerging decathlete Eaton--as well as the second-year heptathlete from Canada, Brianne Theisen. The connections that formed virtually from the beginning between the coach and both athletes would result in world-class performances, championship medals plus Eaton remaking records in the men's multis, indoors and out. And Theisen would eventually become Eaton's wife as well as a world-class seven-eventer in her own right. Now, after Ashton's two Olympic 10-event titles, two decathlon World Records and three indoor heptathlon bests, two World Champs deca wins, three World Indoor heptathlon victories and a total of five NCAA triumphs (three decathlon, two heptathlon), both Eatons announced their retirements on January 4. Brianne tallied five NCAA titles, two outdoor Worlds heptathlon silver medals and a pair of World Indoor pentathlon awards, including the 2016 gold medal. Eaton himself headed west across the Cascades to Eugene out of Mountain View High School in Bend, in central Oregon. He had been directed as a high schooler by Tate Metcalf and had won state sprint and long jump titles. Oregon's then-assistant coach Dan Steele--8th placer in the '99 Worlds 10-eventer with his 8130-point PR--recruited Eaton and felt all along he could make an impact as a decathlete. Steele directed him to the 2009 NCAA Indoor heptathlon win and a defense of his outdoor decathlon title. Then Steele was hired as head coach at Northern Iowa and Lananna had to find a knowledgeable, experienced coach for his obviously diamond-in-the-rough talent. So he called Marra for advice. Marra had earned his Masters in physical education from Syracuse and had coached at San Francisco State University in the 1980s, as well as with the VISA Decathlon team. 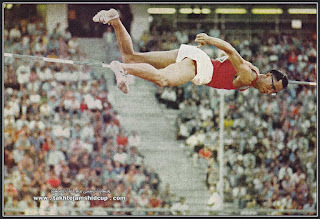 He was a 6524-point scorer in the mid-1970s while training in the then-hotbed of U.S. decathloning, Santa Barbara. Even though he measured just 5'6" and 140 lbs (168cm/64kg) then, Marra was known as a tenacious competitor, but also a voracious reader and student of the sport. He constantly asked questions, especially of renowned coach Sam Adams, as well as the athletes training in Santa Barbara at the time. Marra just couldn't soak up enough technical knowledge about events in general and the decathlon in particular. When Lannana sought his advice about coaches, Marra and his wife Madeline lived in San Luis Obispo, just north of Santa Barbara. With his wide knowledge of the decathlon and its coaches, Marra directed Lannanna toward various candidates. But Lananna once recalled, "None of the coaches Harry recommended could take a job at Oregon. Suddenly, I thought, 'Why am I asking other people? Harry knows as much, or more, than any of them.' So I offered Harry the job. I asked him, 'Can you keep developing Ashton, and eventually Brianne, so they win more NCAA titles?' He said, 'Sure, I can do that.'" While he admitted, "I just loved California," the prospect of a university coaching job--especially with the storied program at Oregon--won over Marra. So he and Madeline left their large home in SLO to move to a small apartment in Eugene. On November 3, 2009, Marra began coaching Eaton and Theisen--and , yes, the rest is history. As in, just four months after they began working together, Eaton won the NCAA Indoor heptathlon--with a World Record 6499-point score. And Brianne won her first of three straight NCAA Indoor pentathlons. Marra knew immediately that he would work with two exceptional athletes, and people. He said, "The thing with the multis, in all the variations, is that life needs to revolve around the event. It can't be vice versa or you won't be successful. "From the beginning, it was clear that Ash and Bri were very mature kids, on all levels. Athletically, they ate, drank and slept the multis. They also were endless readers with curiosity about the world in all aspects. Marra shows desired shot form to the athletes. "In the multis, an athlete has to be excited to accept challenges--but you also have to know and accept that you won't get the desired outcome right away. It's a long, long process and an athlete has to be ready to continually accept challenges. "A multi-eventer needs to have an attitude of coming back from failure. You're going to fail in practice more than you're going to succeed. Ash is the type of athlete who might have a very good high jump practice one day. But it still wasn't quite what he wanted. "Damn good, but he was still ticked off about it. 'Aw, I didn't like that,' he would say. And that's a great attitude to have. 'But you also have to be sensible. You can't expect to be good in the decathlon tomorrow. You can be better than you were yesterday, but you have to stick with it for a number of years. I try to teach safe mechanics because I want every athlete I coach to be 100% healthy going to the starting line for any competition." It didn't take long for the athletes to connect totally with their coach. Only about three weeks after they began working together, Eaton approached Marra and said, "Coach, for me, less is more." 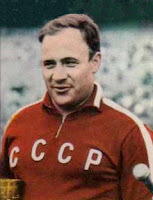 Marra recalled, "He meant that training didn't have to be hammer-hammer-hammer every session. He felt fresher not doing that and could keep moving forward." "So we kept our training short and sharp. I learned long ago that you listen to the body. When it's time to go, you go. When it's time to rest, you rest. The body will tell you." But Eaton added, "We went through a lot of different scenarios in our careers, but I always knew that Harry knew where we were and where we should end up. He knows and could communicate the things an athlete needed to do to reach a certain goal. Bri and I might get frustrated with something, but he would say, 'It will come.'" Marra and Eaton compare notes on their training observations. Marra replied, "No decathlete or heptathlete in history has not dealt with frustration. Ashton was so good because he could deal very well with chaos--and the decathlon is chaos." Those lines of communication remained open throughout their careers. After Brianne placed 10th in the 2012 London Olympic heptathlon--short of all of their expectations--she told Marra, "Harry, I'm not in this to place 10th. I never want to do that again. I want to be on the medal podium from now on." So Marra totally redesigned her training and the next spring she won the prestigious heptathlon staged annually in Goetzis, Austria. Later that season, Theisen won the heptathlon silver medal at the '13 Moscow World Championships She would win the Commonwealth Games 7-eventer in '14 and ultimately the '16 World Indoor pentathlon and the Rio Olympic heptathlon bronze medallion. Eaton doing pole vault run-ups while Brianne Theissen checks his step. Brianne said, "Harry just loves to coach and work with athletes." Marra added, "I take coaching very seriously, regardless if an athlete is trying to win a junior high school championship or the Olympic title. "An athlete puts his or her life into the coach's hands. So you have to take that responsibility seriously and say, 'I'm going to do the absolute best I can to see that this athlete becomes the very best he or she can be.'" Marra also believes, "The coach can't be a crutch for the athlete. Many athletes will do an event, then immediately look to the coach for feedback. I want the athletes to be able to analyze things on their own. They write down every aspect of their workout: how they felt; what they did that they liked, or didn't like; every detail. Then we can compare notes. "That's because the athlete and coach always should be continually learning. You have to be confident in what you know--but you have to realize that you don't know everything." And there could be times of scary lessons. On an early spring day in 2013, the athletes and their coach were training in Santa Barbara, logging a six-week bloc of work prepping for the World Championships season to come. While training with the javelin, Ashton had gone out to the far left of the landing area at Westmont College to retrieve his spear. The trio doing javelin training --just before the "near-miss" incident. Brianne took her own throw, but instead of her usual to-the-right style, she pulled the javelin to the left--and it bore down on Ashton, who didn't know it was coming. Brianne and Marra screamed warnings and the ultra-athletic Ashton arched his back to the left as the spear whizzed by his head. Ashton reassures Brianne that he is OK after the javelin near-miss. "Whoa," he said later, "that was close. I saw this flash of purple go right under my nose." That was the handle of Brianne's javelin. She immediately ran to him and they embraced, him smiling to reassure her that he was fine. But that close call certainly went into the training logs--no doubt in the "near-miss" column. It was just one more unique happening in their unique relationship. Yet while the athletes won major championship medals for their efforts, his peers honored Marra with the Coach of the Year awards from USA Track & Field in 2012 and the IAAF just this past November. He said, "I said after the USATF award, but it holds for any award I have received, that I owe the honor to every coach in the room. I have tried to listen and learn from every coach I have ever met. Then I try to transmit that knowledge to the athlete. "But I'm also a competitive guy and I have tried to teach that competitiveness to athletes. I have been a teacher first and that's what has fired me up my whole career." Now, the sport will be without the unique talents of all three. Their lives will change markedly with the athletes' retirements. Ashton and Brianne are taking their time finding new challenges in life to devote their energies toward. Marra says he wants to stay with coaching, but in a much-scaled back fashion and perhaps working at directing younger athletes. In announcing his retirement, the always-thoughtful and introspective Eaton said, "I gave everything I had to the decathlon. I did all I could. Thank you for making it the best time of my life. "I'm deciding what to do next. Other interests of mine are education, transportation infrastructure and energy." Then, in a tease--or was it?--Eaton gave an indication that the world certainly has not heard the last from him, by far. He concluded, "Being the first person on Mars would be cool." Jon's article is right on point, devoid of glitz, yet full of the personal story which this topic deserves. Great addition. I enjoyed the story about Ashton, Bri, and Harry. I was in Santa Barbara in the '70s doing research at UCSB, but also training at the track, usually doing interval training at noon. I got to know several of the decathletes including Harry. I remember Harry telling me he was the shortest decathlete, who scored over x number of points. I was at the Millrose games in that year and the video shows the race exactly as I remembered. Finally, Jack felt a special bond with Richard, and he had Track and Field News delivered to Richard the final two years of his life. Richard died in November, Jack on Dec. 31. If you plan to stay for an extra day, or more here is a list of local hotels and motels. Reservation form below: Must be received no later than Sat. Feb. 18, 2017. Please, do not show at reunion without having sent your reservation and check, because there may not be any space available. Hope to see you on Feb. 25th. If you were not planning on attending, but discover that you will be attending, contact one of us on the reunion committee in advance; so, we may let the restaurant know of any additional attendees. Bring your completed reservation form with your check to the luncheon. If you know of any others who wish to attend, and they are athletes or coaches from the 20th Century, please make copies of these pages, and give them to these people. Or , you may contact one of us, who are on this reunion occommittee give us the cotact infomation for these people, and we will contact them for you. Spouses are welcome, but complete a reservation form for them, also. This form and your payment must be received before Sat. Feb. 18, 2017. Please mail it early, so it will be received before Feb. 18th. Please do not show on the day of this reunion without having completed and mailed this form with your check. Thank you. Cost per person: $45.00 Make check payable to LARRY KNUTH in the amount of $45, or proper amount if more than one person will be attending in your party. Make an extra copy of this form for each attendee. In this manner everyone will be recognized. We start a new year of TF&N rehashes, and Roy Mason our multi-talented co-founder of Once Upon a Time in the Vest asks the important questions of those heroes of the past. Welcome again to a new , invigorated and armchair reclining issue. One wonders where those guys are now or whether they are now. What is the life story of Peter Chen (American University All American) who vaulted 16-0 to finish in a five way tie for 41st on the world list? Every now and then does he remember that exact instance when he knew he had cleared? Do his table mates at the retirement home know that he once jumped sixteen feet? On May 21 in Provo, Utah Mike Douglas ran the intermediates in 50.8. That earned him a four way tie for 21st spot on the world list. What have you done for me lately, Mike? Did you teach and coach? Were you a stock broker, a mechanic, a pilot? Did you own a bar, run a karate school, play the violin, raise a family, adopt foreign orphans? Bill Toomey set the world decathlon record of 8234 points. Russ Hodge was second at 8230 – yes, 4 points behind. They trained together and were roommates. There must have been a bond. They are both still alive. Do they communicate? Have they been lifelong buddies? Did they just exchange Christmas cards? A quick run through of the awards before we report on what few meets there are. Jim Ryun was selected as the World Track Athlete of 1966. His 86 points gave him a cushion over Tommie Smith's 69. Randy Matson was third with 25. Matson was the field athlete of the year. The European AOY was javelin thrower Janis Lusis of the USSR. 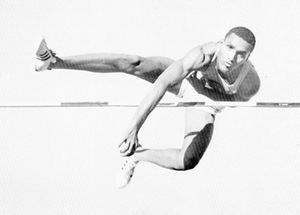 Ralph Boston won the US Open (non-collegiate) award with Tommie Smith getting the US Collegiate title. If you are wondering how Ryun could top Smith in the world voting but finish behind him in the collegiate standings, the unexplained explanation must be that Smith competed on the varsity level which Ryun couldn't because he was confined to frosh competition. And, yes, Ryun was freshman AOY. Lee Evans was the JC winner. Tim Danielson won the high school award. Triple jumper Art Walker was Indoor AOY. The top performance was Ryun's 3:51.3. 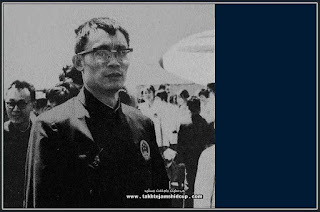 High Jump: Ni Chih-Chin of China (He is known for breaking the world record with 2.29 m on 8 November 1970 in Changsha, but because PR China was not a member of the International Association of Athletics Federations at the time, his record was never ratified. ), Long Jump: Ralph Boston, Pole Vault: John Pennel, Triple Jump: Hans-Jurgen Ruckborn of East Germany (although Art Walker was undefeated and had the longest jump of the year), Shot: Randy Matson, Discus: Al Oerter, Hammer: Romuald Klim of the USSR, Javelin: Janis Lusis and Decathlon: Bill Toomey. The US indoor season starts on Dec. 22 in Mobile, Alabama where Bob Seagren has both a literal and figurative up and down performance. To the positive, he vaults 17-4, the best ever in indoor competition. On the other side of the coin, it doesn't count, as he had already been eliminated with three failures on the opening height of 15-0 and was just filling out his day. A week later in Saskatoon, Canada, Seagren increases his own indoor WR with a clearance of 17-1. Otis Burrell edges a come-backing John Thomas by an inch in the high jump with a 7-1 effort. Unless the discus has become an indoor event, we assume the Orange Bowl meet in Miami is held outdoors, as John Morton of Florida throws that implement 183-2. The first really big news comes on January 7 in the All American Games held in San Francisco's venerable Cow Palace. For once the focus is on the field events. Neil Steinhauer hands Randy Matson his first loss in over a year and, in so doing, crushes Gary Gubner's indoor record of 64-11¾ by nearly a foot and a half with a throw of 66-6¾. Matson's 64-4½ leaves him a well beaten second. The gauntlet has been thrown. John Rambo Long Beach St.
High jumper John Rambo missed the outdoor season last year because of an injury, so it is surprising to see him tie John Thomas' US indoor record of 7-3. Otis Burrell keeps the outcome in doubt, finishing at 7-2. Apparently the athletes liked the Bay Area so much that they return the next week for the Athens Invitational held in the Oakland Arena on January 15. The track and runways are covered with Fastrac, the new super surface guaranteed to produce faster times. The comparison of times made by the same athletes in the Cow Palace meet doesn't verify this claim. Fastrac, however, is responsible for the appearance of US triple jump record holder Art Walker. He is here because he jumped 54-9 off the surface last indoor season and is eager for another crack at it. Unfortunately this pit ends at 56 feet. Walker has to nearly abort his first effort, putting his feet down at 54-1 so that he doesn't hit the board at the end of the pit. Rather than risk injury, he calls it an evening after that single jump. Ralph Boston wins the long jump at 26-3. No surprise there, but the most significant mark of the competition is the second-place 25-3½ national high school record by Jerry Proctor of Muir High in Pasadena. The kid may have a future. Stay tuned. It is somewhat ironic that Proctor cites Boston's Olympic performances as his impetus to become a long jumper. "I saw him on TV, so I wanted to long jump. But I really didn't know who he was or much about him," said Proctor, who has worked for L.A. County for nearly 25 years, reviewing Medi-Cal cases. "There weren't that many people doing it. It seemed like a good event." It became a great event for Proctor, who became something of a celebrity in Pasadena. After the meet, Boston said Proctor was "destined for a fantastic future." "We were setting records, not breaking them," said Proctor, 48, emphasizing a subtle difference in attitude. "It was a different time. There was no money in it. We just wanted to be the best. We wanted to see how far a man can go. Look at all the standards that came out of that time: Bob Beamon, Jim Ryun, Tommy Smith, Lee Evans. . . . It was a great time." To some it seemed as if he disappeared from the track scene shortly after high school. Proctor went on to the University of Redlands, where he jumped 26-11 3/4, still a school record. In the Olympic trials in 1968, he injured his hamstring and finished fifth in a competition for three berths. Despite the Olympic trials tribulations, Proctor was only 18 and his future remained bright. But during his sophomore year of college, his life changed irrevocably. "My career came to a halt after my mother died, tragically, in 1969," Proctor said. Redlands offered to let him quit the track team and keep him on scholarship, but that wasn't a solution for him. Proctor stayed on the team because it was something that was right-side up when everything else seemed upside down. "I gave her a going-away present by winning the NCAAs," he said. "I jumped 26-11. But that was it. I lost my motivation." Even devoid of passion, Proctor stayed competitive until he injured his hamstring again at the 1972 Olympic trials and did not make the team. These days he finds inspiration in his family. His son, Jerry Jr., was the second draft choice of baseball's expansion Arizona Diamondbacks last spring. His daughter, Christina, will be following his footsteps around the L.A. Invitational track this weekend. Although Christina, a junior at Muir, is the Pacific League champion in the low and high hurdles, she is in only her second year of track and field and knows very little of her father's legacy. He didn't want to burden his kids with expectations and keeps his trophies packed away. The following week finds us still in California, specifically at the Los Angeles Invitational where Jim Ryun makes his 1967 indoor debut with a 4:02.6 win over Tom Von Ruden and Dyrol Burleson. Ralph Boston once again wins the long jump, this time at 26-3¾, but gets no love from the sportswriters who vote that Proctor kid the athlete of the meet for breaking his week old high school record on four of his six jumps and finishing second at 25-10½. Once again Bob Seagren surpasses the world pole vault record but gets no credit for doing so. This time Seagren clears 17-2, but as he lands in the pit, so does his pole, resulting in a miss. After the meet he speaks vociferously about outlawing that rule. Dave Maggard puts the shot 62-11½ to edge Jon Cole by nearly a foot. Maggard would go on to a career as a college AD at Cal, Miami (FL), and Houston. See link above for more. Jim Grelle outkicks Gerry Lindgren and George Young to win the two mile in 8:45.0. Charlie Greene takes the 60 in 6.0. 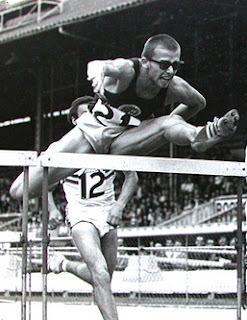 In a race we wish had been saved on YouTube, Richmond Flowers wins the 60 hurdles in 7.1 over European champ Eddie Ottoz who is attired in “bikini-like” shorts. On second thought, maybe that is a visual image we are better off without.